Lisa is a kind and cheerful person that loves staying with her friends and taking care of them. She is a part-time jobber in a combini and share this job with her friend Moca. 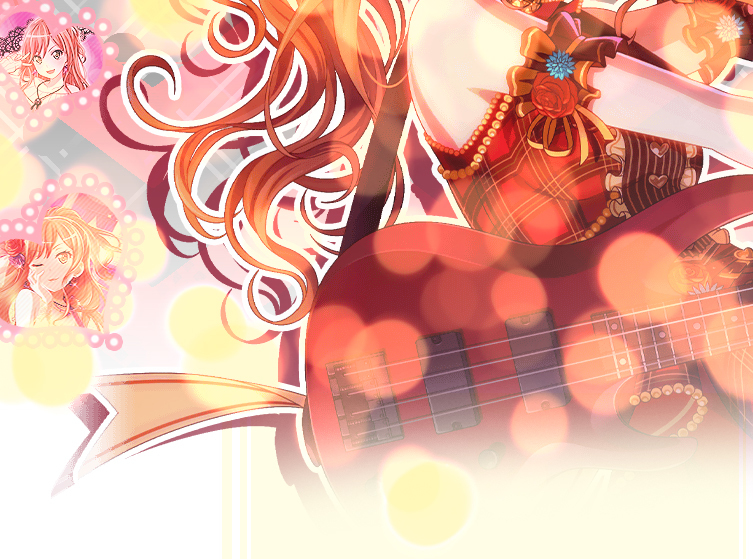 She is Roselia's bassist and Yukina's best friend. They know each other since childhood and she they are very cute together! 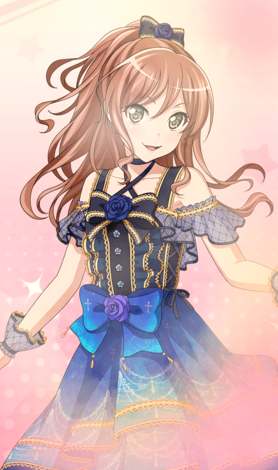 Lisa is something like an onee-san for everyone, and a sort of mother for all the other Roselia member. When she is not around they feel like they need her. She is also a sensitive and caring girl that tries to show her passion for fashion being a gal, but she hides some cute sides, as the fact that she loves amigurumi. She is also very good at dancing and she loves to dance. A thing that I love so much about her is that she always finds good sides in the others, even things that they don't think to have. She really is a beautiful person and everyone respect and love her with all the heart. Also, she is the person that has the major interactions with any other characters in this series, and she is friend with everyone. This is the reason why I called her fanlisting "Connecting Everyone", because it is not only about Roselia's members, but everyone here! intend to violate them. Layout & contents ©Dorothy. The images I used to make the layout are from the rhythm game. Do not copy or reproduce without permission, please.